We believe that each life, each family is unique, and that our services should reflect the individuality of each person and family we serve. Our professional, attentive, friendly and detail oriented ownership and staff put you at ease from that first contact and ensure a dignified and memorable experience. Our beautiful and spacious facility with ample parking and professional staff welcomes your guests. 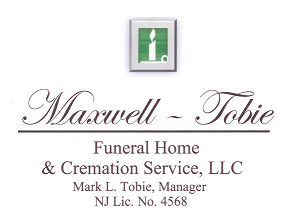 About the owner: Mark L. Tobie, NJ Lic No. 4568.